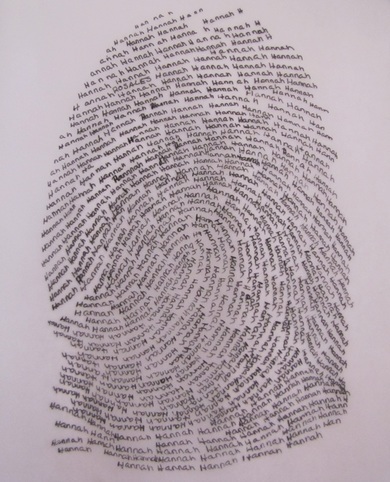 I saw this thumb print idea on pinterest and wanted to try it. We used pencil to make their thumb print. Then transfered it with packing tape to a sheet of typing paper and then enlarged it. I secured vellum to the image and the kids wrote their name on the vellum with a Micon pen following the dark lines on the copied image. Then I reduced the vellum image on the printer and printed it on vellum. Behind each child's thumb print I used their favorite collor of cards stock. Instructions below. 1. On a scratch piece of paper scribble with a pencil. Rub the thumb of the person who is making the thumb print on the area. 2. 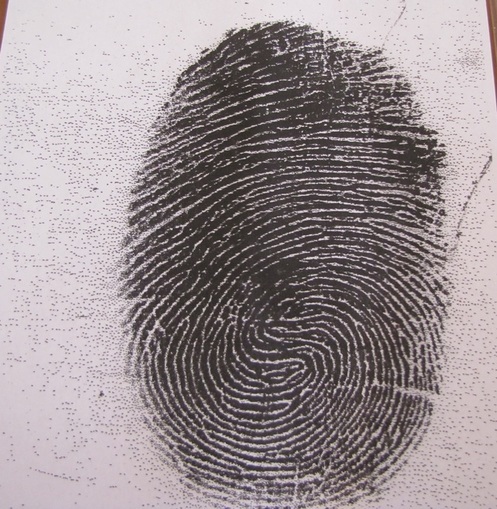 Take a piece of packing tape and place the thumb print on the sticky side. Turn this over and place on a sheet of paper. 3. Enlarge the image several times so it will be easy to write on the vellum. 4. Secure a piece of vellum to the enlarged image. Have the person write something about them or my kids just wrote their name over and over following the dark lines as a guide. 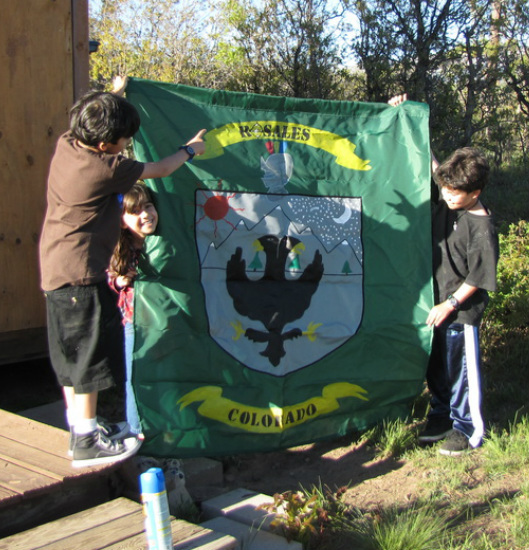 For our cabin in Colorado we made a family crest flag to fly when we are there. We made it out of rip stop nylon and painted on our name and crest. We picked out the tallest tree on our property in Colorado to make our "destination tree". We painted our favorite destination and mileage. 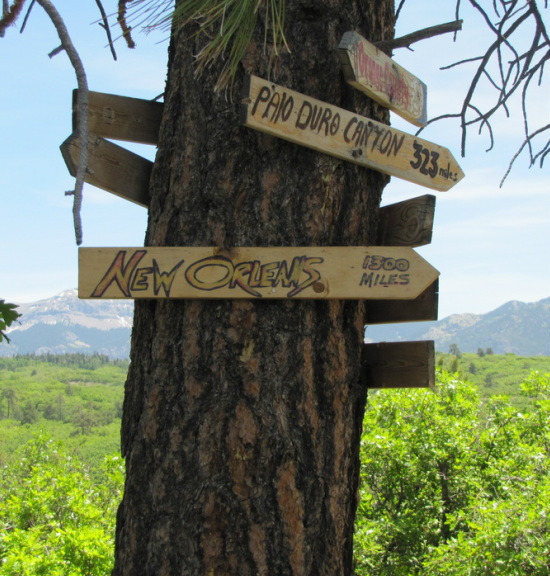 Visitors paint signs with mileage from their home to the ranch.